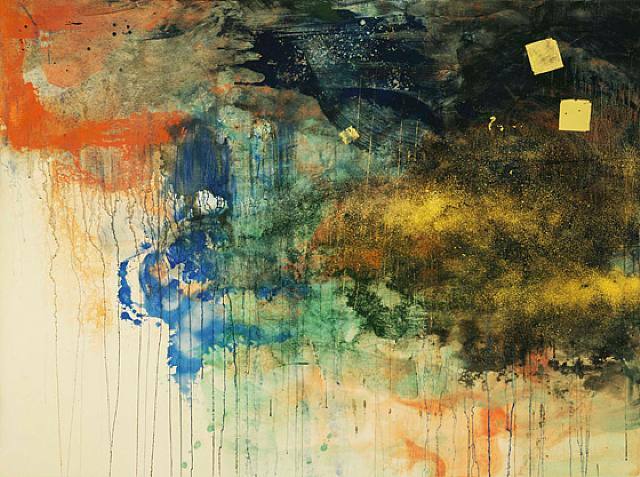 Makoto Fujimura, hands down, is one of Jeremy and my favorite visual artists. He paints beautiful, thoughtful pieces for the glory of Jesus Christ, and we admire that! Here is a recent interview of him that we were forwarded and watched together a couple of days ago (all 40 minutes of it!). We find it to be full of insightful observations about art, life, and the Christian church. He also shares his own story of coming to faith, which we found to be fascinating, and he shares about his most recent project: illuminating the four Gospels (yes, seriously, like the Book of Kells sort of illumination. We are planning on ordering it because it looks gorgeous). Enjoy this video– and if you have any thoughts, feel free to share! We’d love to hear them.